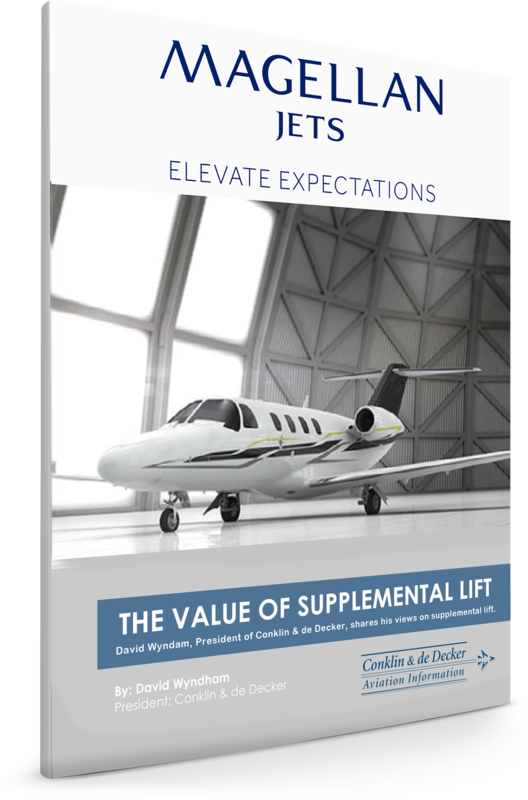 Supplemental lift is a vital need whether you own an aircraft, have a fraction, or an existing jet membership. Using it wisely can mean the difference of thousands of dollars saved in maintenance, over-use surcharges, deadhead costs and interchange penalties. This informative whitepaper, written by Conklin & de Decker President David Wyndam, explains more and gives you insight on what questions to ask to ensure you are choosing wisely. How do you choose the right vendor?